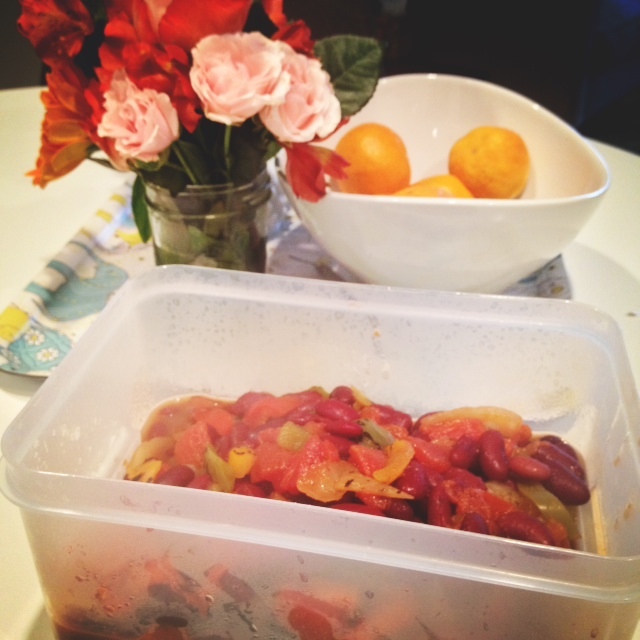 Make Ahead Vegan Chili | shirley does Feminism. Life has been wonderfully insane as of late. I have been going none stop but have maintained balance through yoga and healthy eating This past Sunday I prepared our meals for the week in the anticipation of the non stop activities of the week. I am not going to pretend that the meals are fancy and elaborate, they aren’t. However, they are delicious and packed with nutrients. They are also easy to make and take little time (wins all around!). 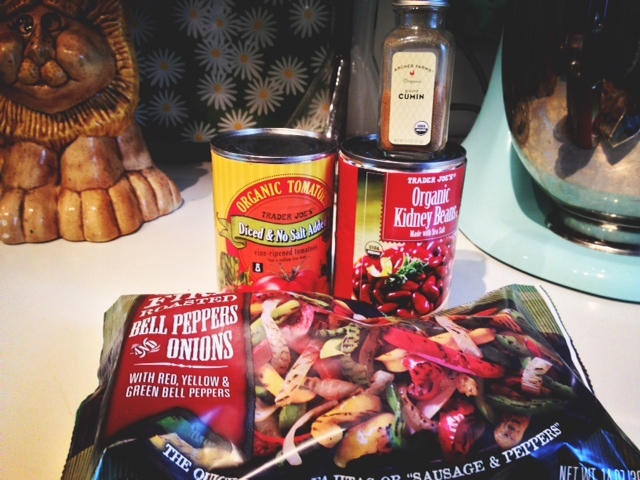 First up is the simplest vegan chili out there. It requires few ingredients (most you probably have at home) and little time. Place frozen veggies in deep sauce pan (have lid handy) and stir for about 4 minutes. Add spices to mixture. 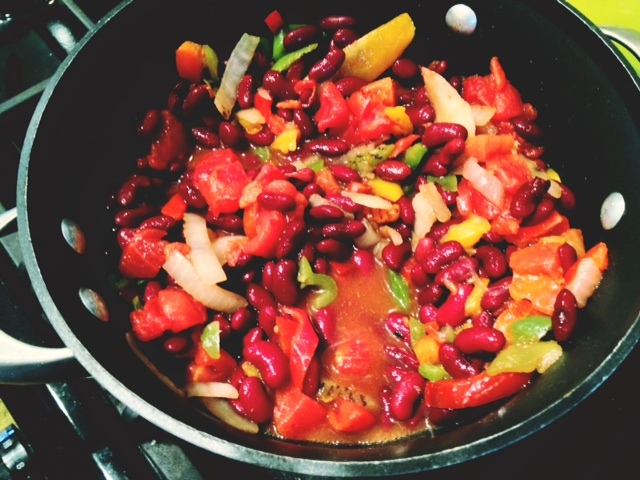 Then add beans and tomatoes, stir and bring to a boil. Once at a boil reduce heat and let simmer for 25 minutes. Serve immediately or put in storage for later in the week! Packaged and ready for the week!